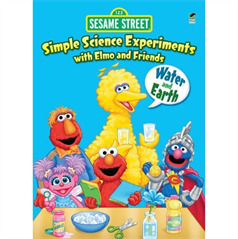 Join Elmo, Super Grover 2.0, and the rest of the gang to learn about science! Kids will be captivated by the playful illustrations and wealth of information as their favorite characters lead them through numbered steps of simple at-home experiments, including making a tabletop volcano and an indoor rainstorm. Plus, there are "Murray's Science Words on the Street" sidebars, journal pages, mazes, and more. 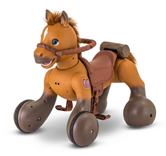 Savvy Aunties can get preschool nieces and nephews excited about STEM - Science, Technology, Engineering and Math! Sesame Street makes it easy and entertaining for real QualAuntie Time with your smart cookies!